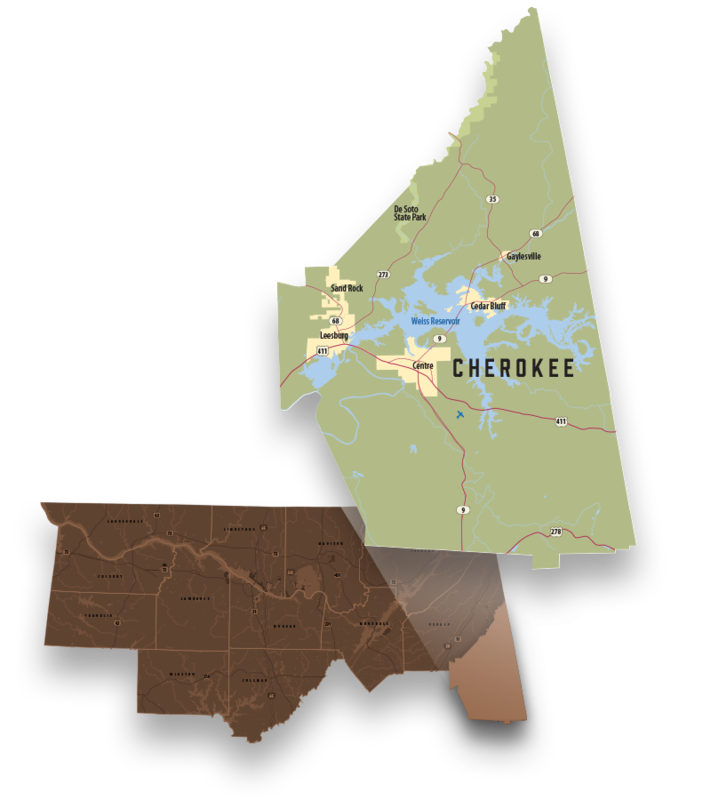 Cherokee County is located in northeast Alabama between the metro areas of Atlanta, Birmingham and Chattanooga. It is home to Weiss Lake, which is well known for its spectacular views and some of the world’s best fishing. Companies like KTH Leesburg Products have found Cherokee County to be an excellent location for their businesses. Federal highways US 278 and US 11 and the Centre-Piedmont-Cherokee County Regional Airport provide an excellent transportation network.